So how did the cast and crew of “Who’s Afraid of Virginia Woolf” celebrate Valentine’s Day? 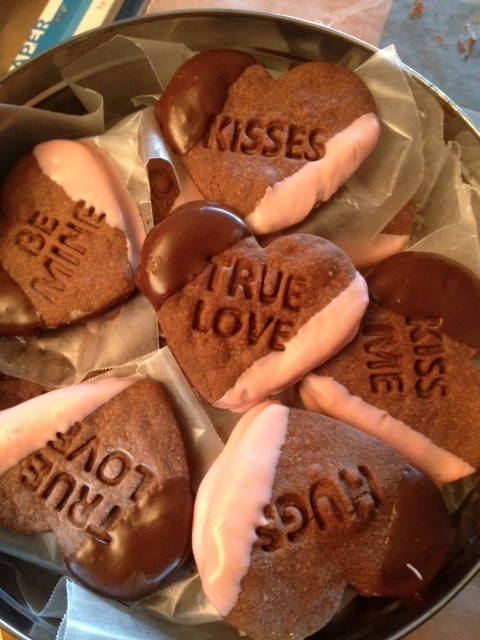 With a tin of chocolate heart cookies baked by James, of course! There’s really not much else to do here but offer up the recipe which is so very simple and divine. Please to enjoy . . .